Israeli Soldiers Speak Up About Gaza Atrocities & Orders for Indiscriminate Fire. 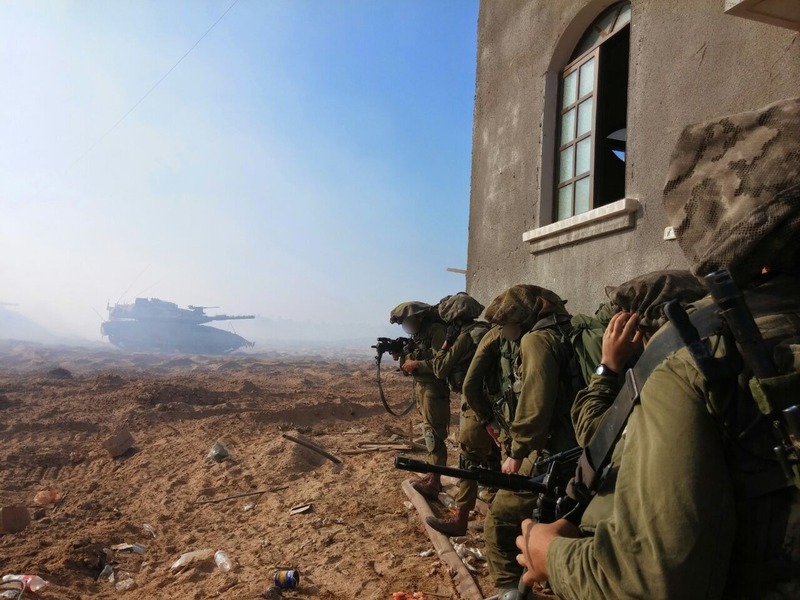 A new report based on testimonies of Israeli soldiers concludes the massive civilian death toll from last summer’s Israeli assault on Gaza resulted from a policy of indiscriminate fire. The Israeli veterans group Breaking the Silence released testimonies of more than 60 Israeli officers and soldiers which it says illustrate a “broad ethical failure” that “comes from the top of the chain of command.” More than 2,200 Palestinians were killed in the assault, the vast majority civilians. On Israel’s side, 73 people were killed, all but six of them soldiers. During the 50-day operation, more than 20,000 Palestinian homes were destroyed, and hundreds of thousands of people are still displaced. Democracy Now! discussed the report with Avner Gvaryahu, director of public outreach at Breaking the Silence. He is a former IDF solder who served from 2004-2007 as a sergeant in a special operations unit around Nablus and Jenin. During the interview, we can also hear video testimonies from the soldiers. The commander announced, “Folks, tomorrow we enter. I want you to be determined, task-oriented and confident. The entire nation is behind you”—the usual speeches. And then he spoke about the rules of engagement. And I quote: “The rules of engagement are: Any person at a distance that could put you at risk, you kill him with no need for clearance.” Meaning, anyone at a distance of 200, 300, 400 meters from us, isn’t an ordinary civilian. According to IDF logic, he must be there for a reason, because an ordinary civilian would flee the area, and so, we must kill him with no need for clearance. For me, it was just spine-tingling. During the first entrance [to the Gaza Strip] we were near Beit Lahia, in a place called the Bedou’iyya. We were there for a few days. When we got there, there were white flags on all the rooftops. We had been prepared for something very… For some very glorious combat, and in the end it was quiet. We set ourselves up in our spot and slowly, slowly, [the Palestinians] started returning. At one point early on an older woman came near, and one of the officers said she should be shot. They told him to fire [warning shots] in her direction, and after a few shots she backed off. Later on, lots of people with white flags came over and [warning] shots were fired near them, too. For more on this story, visit Breaking the Silence. → Radwa Ashour: Living With The Sea. ← Remembering Samir Kassir: Life As Courage, Death As Silence.